As Windows 8.1 somewhat shadowed the failure of Windows 8, Microsoft decided to overcome a bit more defects in another free update, so called Windows 8.2. Windows 8.2 is scheduled to be available as a free update on April 8th 2014. Windows 8 was the first of the tile based operating system, on which Microsoft was banking upon to be a super hit in the market, but it failed very badly. There were some huge blunders in it. With Windows 8 being so much colorful that it irritated everyone. The tile based experiments from Microsoft failed and it came as a shock to them. With these numerous defects in Windows 8 Microsoft offered a free update to an improved version of Windows 8, which they named Windows 8.1(some may call it Windows Blue). With Windows 8.1 update Microsoft tried to overcome some the big defects in Windows 8 which led it to a big failure. Now the next free update i.e. Windows 8.2, is expected to come with a lot more improvement in the Windows 8.1. Windows store was revived in Windows 8.1 and was just a bit too heavy, so Microsoft is expected to rethink over it and come up with a better Windows Store. Windows 8 saw its first update with release of Windows 8.1, which removed a few of the major drawbacks in Windows 8. Windows 8.1 got a better review than Windows 8, and was more convenient to use. 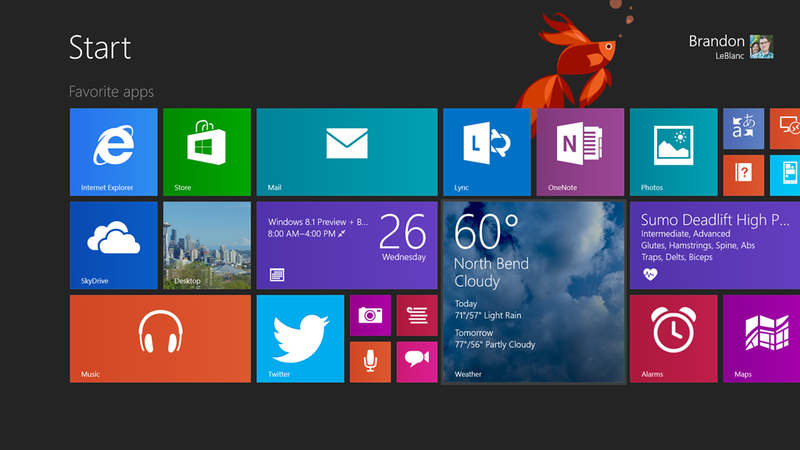 The tile based operating system of Microsoft is set for another release and is expected to better its predecessor i.e. Windows 8.1. What to expect with Windows 8.2? So, get ready for the all new Windows experience with the free update to Windows 8.2. With all the new and updated features, this update is going to be a lot more pleasing and convenient to use.